From humble beginnings, Rome became perhaps the greatest intercontinental power in the world. Why did this historic city become so much more influential than its neighbor, nearby Latium, which was peopled by more or less the same stock? Over the years, historians, political analysts, and sociologists have discussed this question ad infinitum, without considering one underlying factor that led to the rise of Rome--the geology now hidden by the modern city. 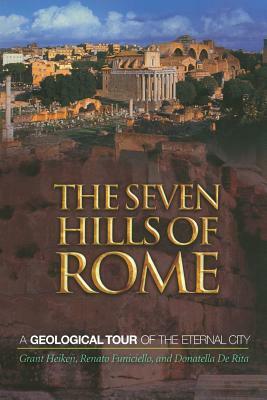 This book demonstrates the important link between the history of Rome and its geologic setting in a lively, fact-filled narrative sure to interest geology and history buffs and travelers alike. The authors point out that Rome possessed many geographic advantages over surrounding areas: proximity to a major river with access to the sea, plateaus for protection, nearby sources of building materials, and most significantly, clean drinking water from springs in the Apennines. Even the resiliency of Rome's architecture and the stability of life on its hills are underscored by the city's geologic framework. If carried along with a good city map, this book will expand the understanding of travelers who explore the eternal city's streets. Chapters are arranged geographically, based on each of the seven hills, the Tiber floodplain, ancient creeks that dissected the plateau, and ridges that rise above the right bank. As an added bonus, the last chapter consists of three field trips around the center of Rome, which can be enjoyed on foot or by using public transportation. Grant Heiken is a past president of the International Association of Volcanology. He is the author or co-author of several professional and general-interest books on geology, including Volcanoes: Crucibles of Change (Princeton). Renato Funiciello is Professor of Geology at the University of Roma Tre and Vice President of the National Institute for Geophysics. Donatella De Rita is Professor of Field Geology and the Geology of Volcanic Areas at the University of Roma Tre.